Unlike other music fests or concerts, Coachella is an experience, and therefore, needs to be planned. And you know where the first step of preparation starts, right? Choosing your outfits! If you are headed to Coachella for your first time and think it’s not as big a deal as people make it out to be, you are mistaken. Trust me – it is worth all of that, and more. The kind of music that plays, the people you meet, the food you eat, and everything else – it is simply mind-boggling, and this is an understatement! 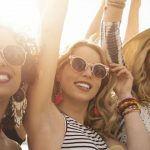 But let’s get straight to what we are here to talk about – Coachella outfit ideas, and what we think are exciting options that will make you fit right in and get the party started. 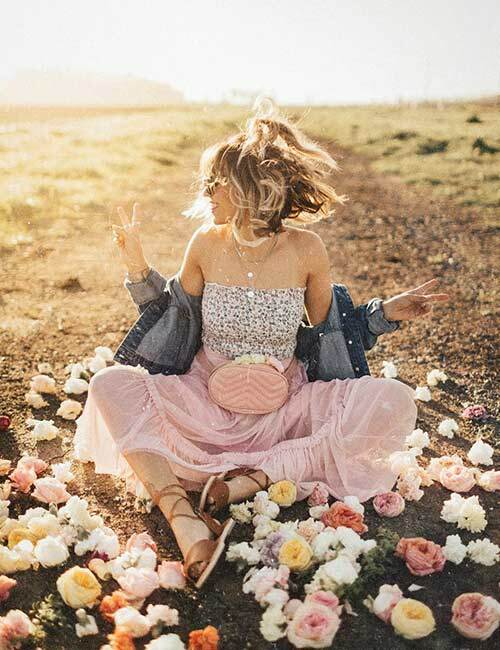 Coachella style is synonymous with flowing dresses, one piece florals, shorts, miniskirts, and everything that defines Bohemian chic in the most real sense. 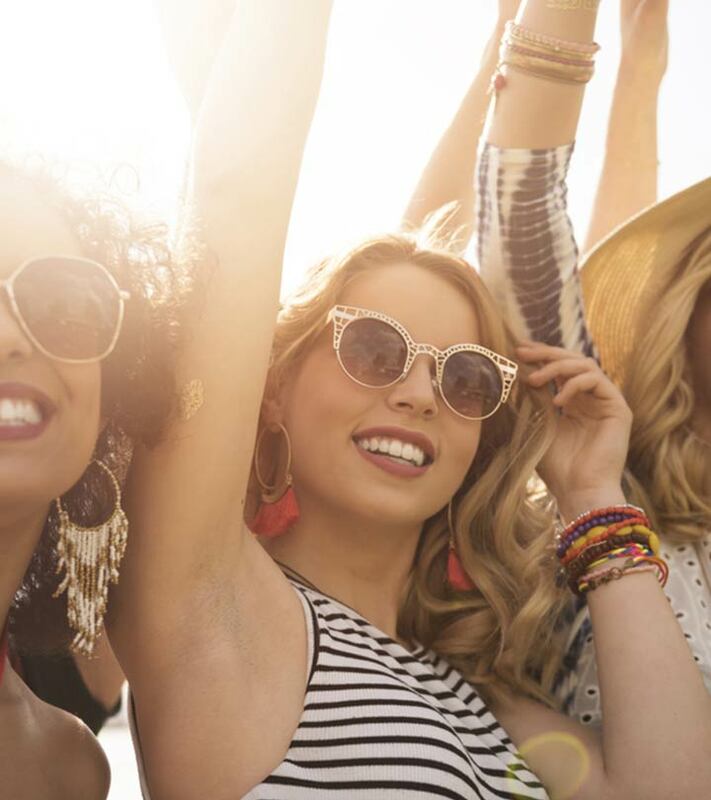 The event takes place in the middle of a desert in California, with temperatures ranging between 80 to 100 degrees F; so remember, whatever you decide to wear, it needs to be soft, breathable, and above all, comfortable. So, unless you cannot survive without your denim, choose linen pants, cotton dresses, shorts, and maxis – you get the drift, right? How do we start a Coachella post without it being about Vanessa Hudgens? 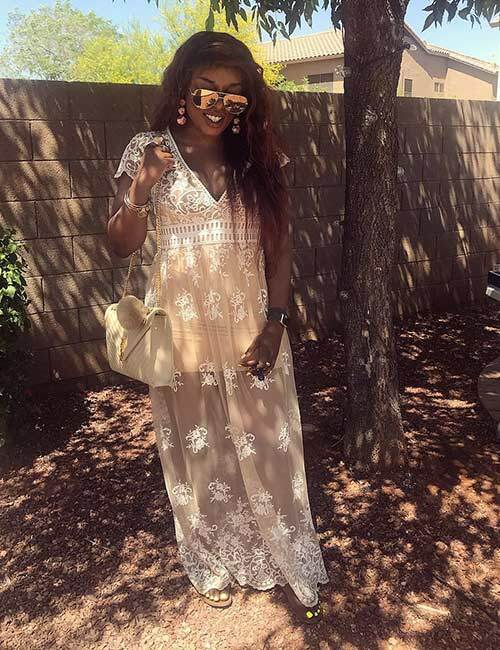 She is the unofficial ‘Queen of Coachella.’ She has been attending the festival every year and seems to have figured out a way to nail the Coachella dressing. Hudgens is the biggest style icon with a couple of million followers on social media. Her looks are all about tinted glasses, colorful and printed separates, boho accessories, bindi, hats, boots, and a whole lot of glitter. 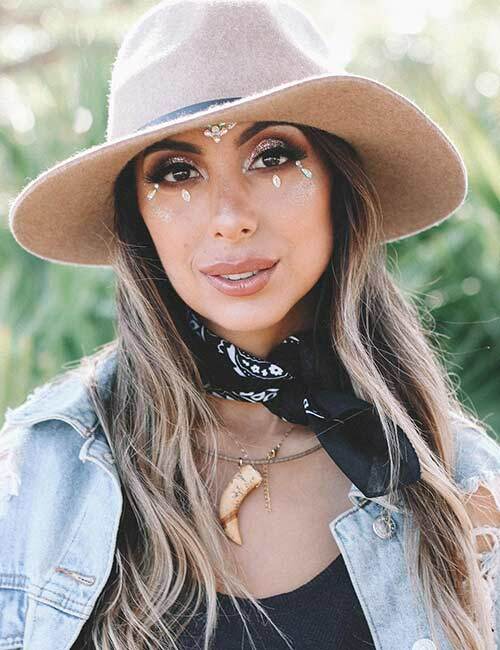 If you are looking for a style inspiration, and want to replicate only the best, you now know who your Coachella Guru is! Rihanna is honestly the best thing that has happened to us. Let’s establish that. 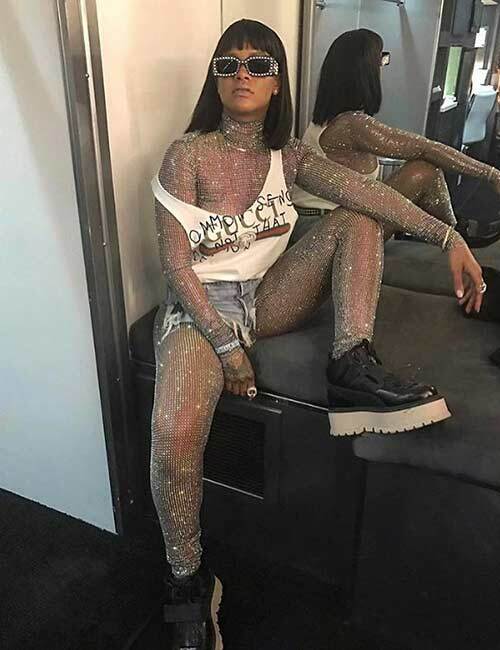 Everything about Riri is great, and if that’s not enough, she ups her style game with her Coachella outfits. She dazzled and looked like a million bucks in this sparkling attire. Just how effortlessly she pulls off this look is beyond me. And, if this doesn’t inspire you, I don’t know what will. 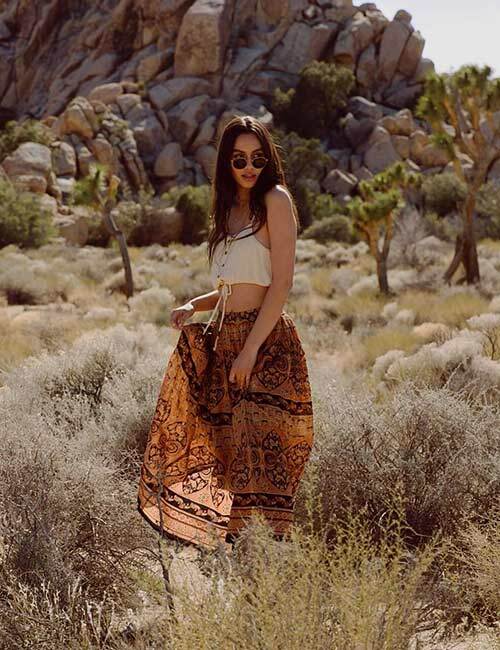 The Kardashian sisters are a collective bunch of style icons, but if you are looking for some inspiration and style ideas for Coachella – you should turn to Kendall Jenner. She’s got this Egyptian Bohemian aura about her, and that’s what we need if we are headed to Indio, California this time of the year. A side slit skirt, head accessory, ankle boots, and some glitter – what Coachella dreams are made of! If you do not want to carry too many things, take a capsule wardrobe with you. Meaning, just carry one versatile piece of clothing like a Bohemian skirt, shorts, or a chambray shirt and play around with it. Here’s a floral skirt that sets the mood right. Pair it with a crop top one day, and an off-shoulder the next. Nobody will notice anything except that you are on top of your fashion game. We often don’t get a chance to wear our craziness and rarely do we get a chance to be fashionable, so when you do – do it like you know it all. 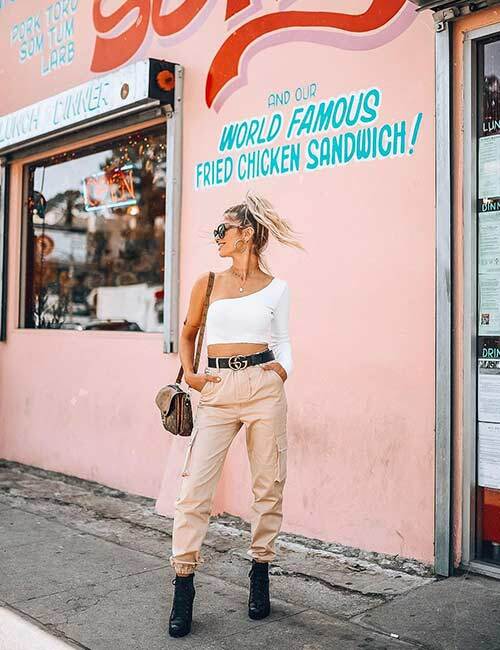 Joggers, cargo or khaki pants with a one-sided crop top, ankle boots – and a hat too, maybe? Make sure your boots are not new and are comfortable because it’s going to get really hot during the day and if you can deal with that, don’t forget the shuttling between stages, concerts, and the endless walks. There’s nothing like one piece cotton dresses for the festival. Pair it with pom pom earrings, wedges, oversized sunglasses, and a big bamboo hat for good measure and also protect yourself from the sun. 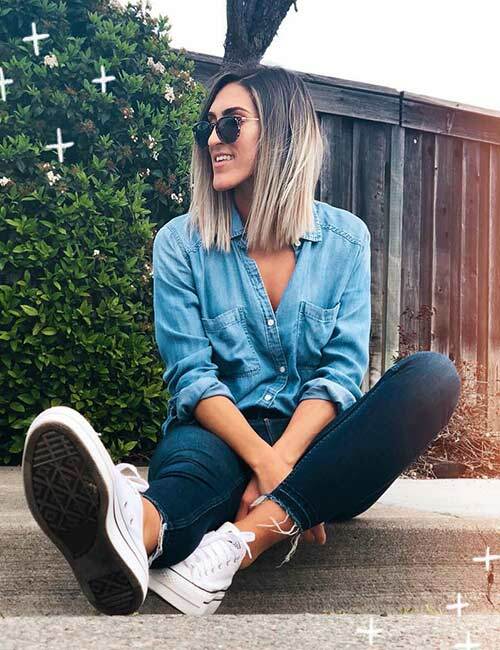 For the love of denim jackets, and the fact that we cannot live without them, go ahead and throw it over anything and everything you are going to be wearing at Coachella. Wear a dreamy peach organza skirt with a tube top, gladiator sandals, and a side body bag. If you want to go all out, which you can at the Coachella, go with a bodysuit that is versatile and in vogue too. Add definition to this with a layer like a kimono dress which doubles up as a dress or just to throw it on for a dramatic element. Playsuits are airy, comfortable, and impeccably stylish. You hardly need any accessories and can do just with aviators, fine body jewelry, a choker, and some beachy waves. The airier an outfit, the better it is for Coachella, for it is hot and humid this time of the year in Southern California. Moreover, it happens to take place in a desert, in the middle of nowhere. Hats, retro eyewear, boots, etc. will all perfectly complement this outfit. Your Coachella outfit cannot get any more comfortable and stylish than this. If breathable and loose clothing is your thing, look no further than dresses like these. A hat makes all the difference to these outfits, so make sure you carry them along. We just cannot get enough of our denim, can we? And if you are one of them who cannot live without their jeans, go right ahead and take them with you. And, you don’t need any fancy tops – tank tops, plaid shirt, chambray, or tube tops are all fitting. A long lace dress – sleeveless or otherwise is perfect too. Throw on a vibrant silk slip on a spaghetti dress – and some rose gold jewelry, aviators, and gladiator flats – elegant and on point. Coachella is the best time to ring in your new spring outfits and bring them all in. 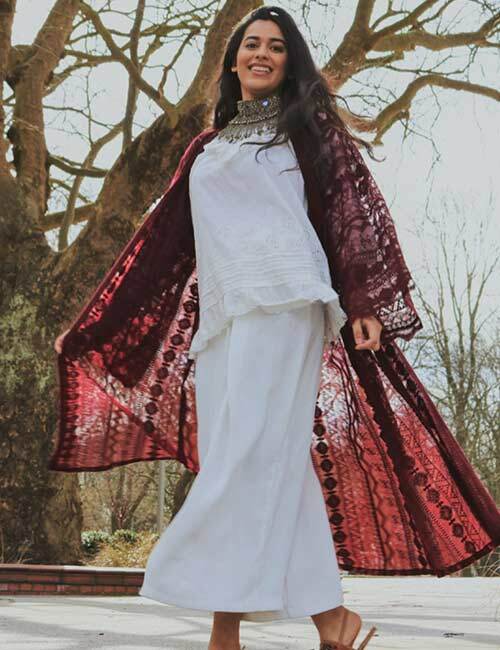 Bring out those linen pants and cotton shirts, and break the monotone with a crochet kimono. Oh, and do not forget the chunky, tribal jewelery. Accessories are your game changers for Coachella and give you tons of opportunities to flaunt the vibe. Hats, head or neck bandana, glitter, tribal jewelry, scarves, boots, shades, etc. are all ways to spruce up your outfits. Pack your regular clothes and turn them funky, it’s a lot of fun. You are as comfortable as your outfit, and as confident as your style. Don’t you agree? And, when you are attending festivals that are one of a kind, spending a couple of days constantly moving from one stage to another, one tent to the next – it becomes a deal-breaker. Comfortable shoes, soft fabrics, a hat, sunglasses, and loads of sunscreen should be your priority. Are you planning to go next year? Are you super stoked? What outfits do you plan to wear? Let us know by dropping in a text in the comments section below.